The CRP-10827 model is identical to the CRP10751, except that it features a delicate bead on both the inside & the outside of the frame. This door is NOT AVAILABLE FOR INSET CABINETS, but to make this door a better option for painted finishes, Conestoga (CWS) created the CRP-10827 (MDF). 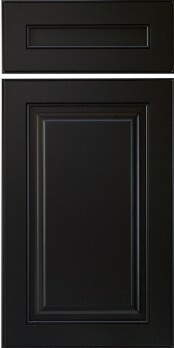 The MDF version of this door features full five-piece MDF construction and mitered joints.